This lovely looking knife sharpener from Wusthof is a 2 stage knife sharpener. This means that it hones and sharpens. The stages being that you would sharpen first and then hone. It even looks smart and stylish enough to have out in your kitchen. This is part of what we love about the Wusthof range. The products are not just functional but they actually look nice too! In the end slot (marked “FINE”) you will find two ceramic grinding wheels. This is where you hone your knife and is probably what you will use the most – after all remember that it is best to hone your knife before and after every use. This keeps the blade edge aligned and means you do not have to sharpen your knife as much, and that when you do need to sharpen it will be much more effective. The inner slot (marked “COARSE”) is where you do the knife sharpening. 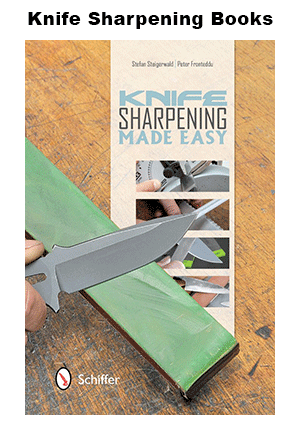 This 2 stage knife sharpener (looks so good – I know, we said that!) has a solid non slip base which of course is very important to stop it sliding around when you are trying to use it. The rubber hand grip is comfortable to hold and does not slip around in your hand either. If your knife needs sharpening then start with the “coarse” slot and step number 1. If your knife just needs honing then skip step 1 and start at step 2. 1. Place your knife into the slot at a 90 degree angle and just applying a small amount of pressure (slightly more than the weight of the knife itself) draw the knife towards you from the very edge to the very tip. Lift the knife out (do not use it like a saw) and repeat a few times until the edge is sharp. If you are unsure of the amount of pressure to apply it is best to start of with less until you get a feel for it, we are not talking a huge amount of pressure here at all. 2. Then hone your knife by placing it into the “fine” slot in the same manner as above. With a small amount of pressure draw the knife towards you. Repeat this a few times. Do be careful not to apply too much pressure at this stage because honing can also remove metal from the blade if you exert too much force. Less is more, and like any skill, you will get the hang of sharpening your knife and develop a feel for it. The Wusthof Precision Edge 2 Stage Knife Sharpener can also be used with serrated edge and scalloped or hollow edge knives – in the FINE slot only. CAUTION: We have seen some sites that recommend you wash your knife sharpener with water after use. Do not do this – do not wash the sharpener. Keep your knife sharpener in tip top condition by merely wiping it with a squeezed damp cloth after use. Make sure it is thoroughly dry afterwards. We recommend the use of a pastry type brush to brush out any loose knife filings.